After the truck got caught in the snow, authorities say an Idaho father let his 11-year-old daughter and her brother trek to their mother's house. The little girl died. 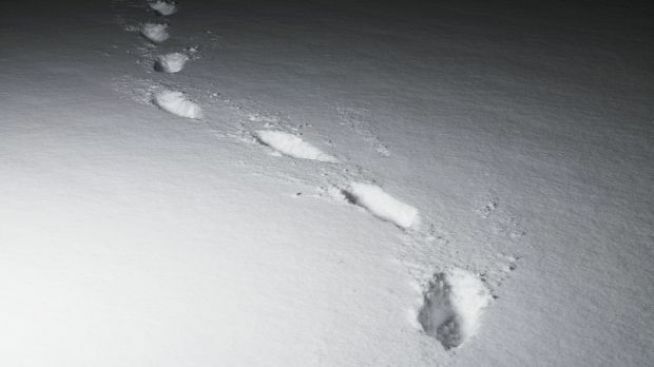 TWIN FALLS — An 11-year-old girl died after her father's truck got stuck in a snow drift and she and her brother tried to walk 10 miles in the snow on Christmas to visit her mother. Sage Aragon's father was arrested and charged with second-degree murder and felony injury to a child after her body was found about 2.7 miles from where the two set out. She was barely visible under windblown, drifting snow when search dogs located her along a local road about 2 a.m. Friday. She was wearing a brown down coat, black shirt, pink pajama pants and tan snowboots, the sheriff's office statement said. She likely died of hypothermia. Sage and her 12-year-old brother, Bear, were with their father, Robert Aragon, on Thursday when his truck got stuck in the snow in southcentral Idaho. The children live with Aragon in Jerome and he was taking them to visit their mother, JoLeta Jenks, in West Magic. Jenks called the police and a search and rescue team found the boy at a rest area near the highway shortly before 10 p.m. on Thursday night. Adults in the search effort described the snow as knee-deep for them. The boy was found wearing only long underwear, Blaine County Sheriff Walt Femling said in a news release. Apparently delusional from hypothermia, the child had discarded his jacket, pants and shoes, the sheriff's office said. He was treated and released at a nearby hospital. The rest area was about 4.5 miles from where the children started walking. At some point, Sage and Bear separated and their mother said her son told her they disagreed about whether to keep going or turn back. Jenks and Aragon are not married. While she said she doesn't understand the decision Aragon is accused of making, Jenks added, "I don't need to sit and yell. I know he's going through hell right now."